Anybody who has been in the real estate business for more than a week can tell you that "real estate is local," so why are most real estate companies focused on marketing a house for sale in Tallahassee on the large aggregate sites that are anything but local? I suspect it has something to do with the hype about traffic, the fact that these sites get millions of visitors from all over the world. I guess if you think that raw exposure is the key to promoting a house for sale in Tallahassee, then simply advertising the house on the most active websites should certainly get it sold. Right? Realtor.com * Homes.com * Zillow.com * Trulia.com * Century21.com * Coldwellbanker.com * Remax.com * yahoo.com * bing.com * google.com ... and the list goes on and on. But do you know what all of those sites have in common? All of these sites share one trait ... 100% of all homes that failed to sell last year were featured on those sites. Think about it. Is being on those non-local real estate websites critical to getting a home sold? People who want to see homes are on the large websites, but people who are ready to buy a house for sale in Tallahassee are already using the best map-based property search tool on the internet. They have registered their exact requirements, and they are waiting for a home that fits their specific needs. These are local real estate buyers, not real estate shoppers and "sight seers." 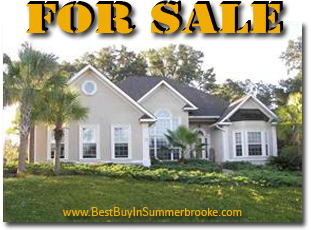 If you want to best market a house for sale in Tallahassee, then be there, be prominent, and be ready to move.